Creative activities and seat work - Juvenile literature. 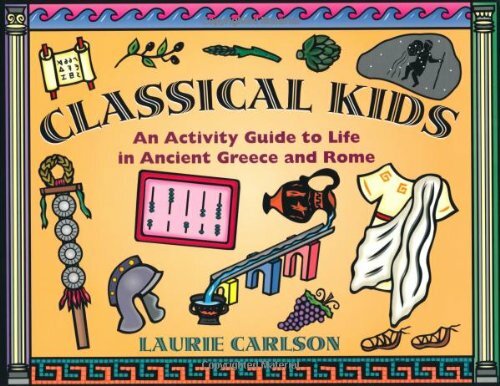 Greece - Social life and customs - Juvenile literature. Rome - Social life and customs - Juvenile literature. Travel back in time to see what life was like in ancient Greece and Rome while having fun with hands-on activities such as making a star gazer; chiseling a clay tablet; weaving Roman sandals; making a Greek mosaic; creating Roman jewelry; throwing Greek pottery; casting a vote in a Roman-style election; and much more. Learn how these civilizations contributed to our present-day world by participating in art, math, cooking, science, and geography activities. Interesting facts and trivia are included throughout. Helpful illustrations explain project steps. You must be a member of JacketFlap to add a video to this page. Please Log In or Register. Log In or Register to leave a comment about this book.